Tech-geeks and avid fans of Apple technology were delighted after Steve Jobs’ announcement today of Apple’s new iPad tablet computer. Similar to Apple’s popular iPhone device in touch capability, the iPad offers a 9.7 inch LCD screen, a half-inch thick body and weighs only 1.5 pounds. Models will be available with 16GB, 32GB and 64GB flash memory capacity. The base-level wi-fi only models will be available in approximately two months and be available at the following price points: $499 (16GB), $599 (32GB) and $699 ($699). 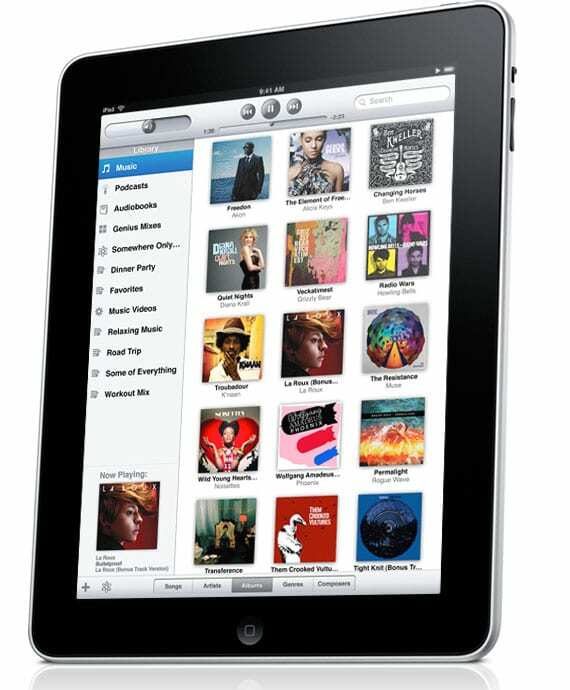 A 3G-enabled version of the iPad will be available a month later and for $130 more. 3G data plan rates will be $14.99/month for 250MB or $29.99/month for unlimited. The iPad will be able to run many of the existing apps compatible with the iPhone, but will also feature device-specific applications such as a version of Apple Productivity suite iWork. Additionally, Apple’s announced the launch of iBooks, an electronic reading application and store that aims to compete with Amazon’s Kindle reader.